Lemurian Crystal Point, this powerful healing crystal will assist you in removing all types of energy blockages. Lemurian Crystals have a distinct appearance. Look carefully at a Lemurian Crystal and you will see horizontal striations or grooves, like “bar codes,” on one or more sides. Commonly, the sides of a Lemurian Crystal will have alternating striated and smooth faces. 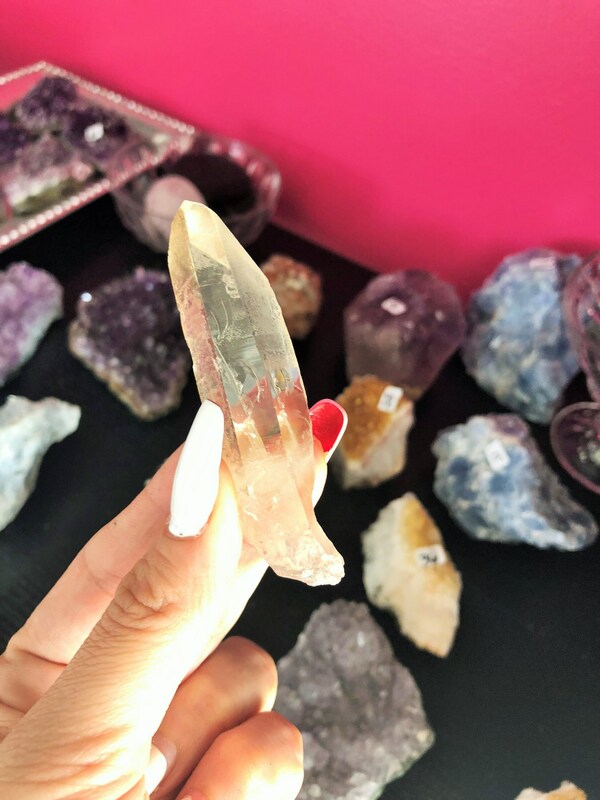 Lemurian Seed crystals connect with the crown and solar star chakra. These are master crystals within the crystal kingdom. Listing includes the ONE lemurian crystal. 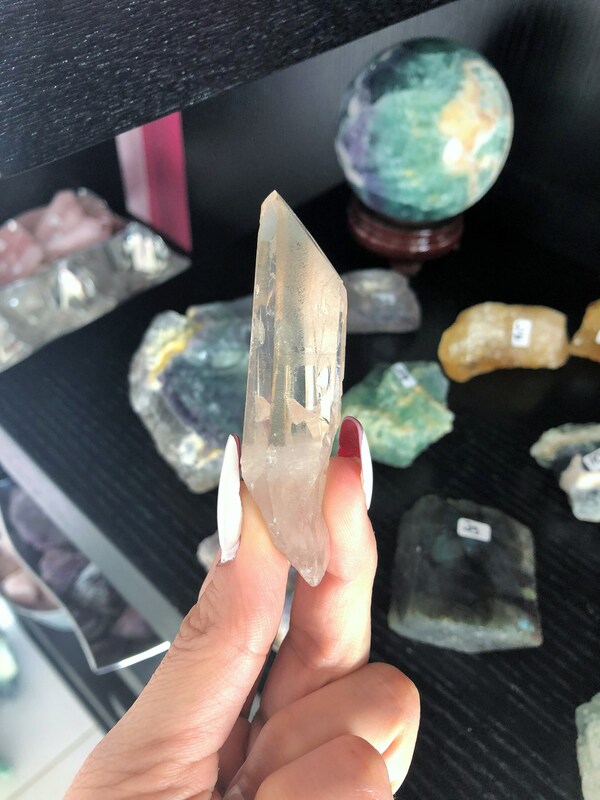 Considered one of the "Master Crystals", Lemurian Quartz Crystals help us maintain our connection to Spirit, aiding spiritual evolution, and have been used successfully in dream work. 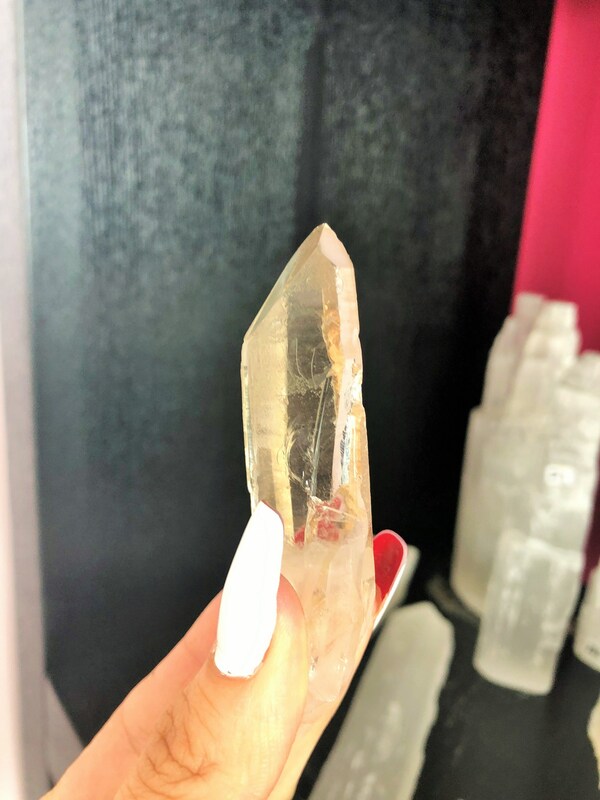 Lemurian Quartz crystals are a wonderful tool to use when clearing and activating the Chakras. An amazing healing crystal, Lemurian Quartz will assist in removing all types of energy blockages. Use a Lemurian Quartz Crystal for healing and meditation work.